Burkhalter Kessler Clement & George LLP is a highly regarded Southern California law firm with a reputation for aggressively protecting its clients' interests. Our litigation partners have a history of trying difficult and complex cases and emerging victorious. Our intellectual property team has years of experience in trademark and copyright law and has assisted many innovative businesses protect their brand. The firm provides services for a wide variety of businesses from start-ups to mature companies. In addition to business litigation and intellectual property, the firm has core practices in corporate and transactional law and assists clients with critical aspects of their business, such as acquisitions and sales of businesses and real estate, employment issues and consumer disputes. Finally, BKCG offers comprehensive estate planning services through our State Bar certified Estate Planning specialists. 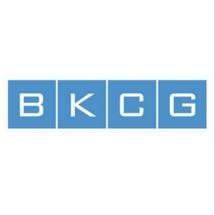 Civically active, BKCG lawyers have distinguished themselves educationally, professionally and in the community. Several members of the law firm teach at local law schools. Burkhalter Kessler Clement & George is committed to providing personalized, effective and efficient legal services for its clients.